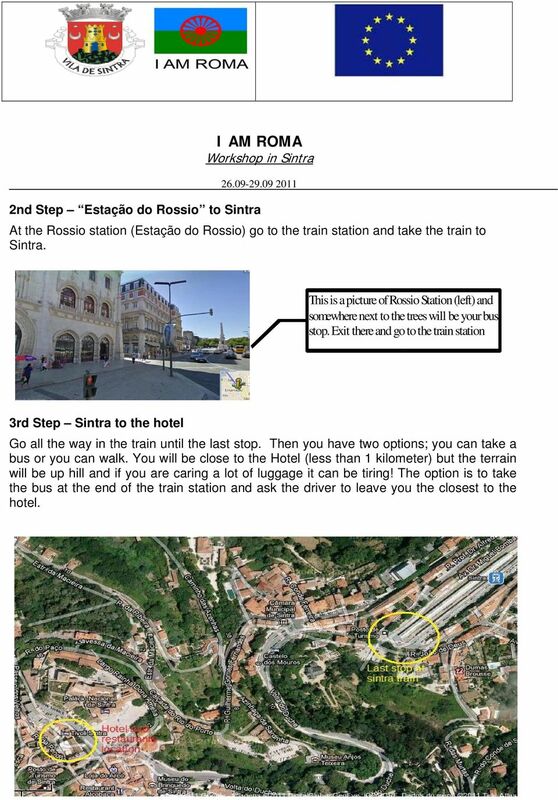 Download "I AM ROMA Workshop in Sintra INFO PACK"
3 2nd Step Estação do Rossio to Sintra At the Rossio station (Estação do Rossio) go to the train station and take the train to Sintra. This is a picture of Rossio Station (left) and somewhere next to the trees will be your bus stop. Exit there and go to the train station 3rd Step Sintra to the hotel Go all the way in the train until the last stop. Then you have two options; you can take a bus or you can walk. You will be close to the Hotel (less than 1 kilometer) but the terrain will be up hill and if you are caring a lot of luggage it can be tiring! The option is to take the bus at the end of the train station and ask the driver to leave you the closest to the hotel. 4 2. 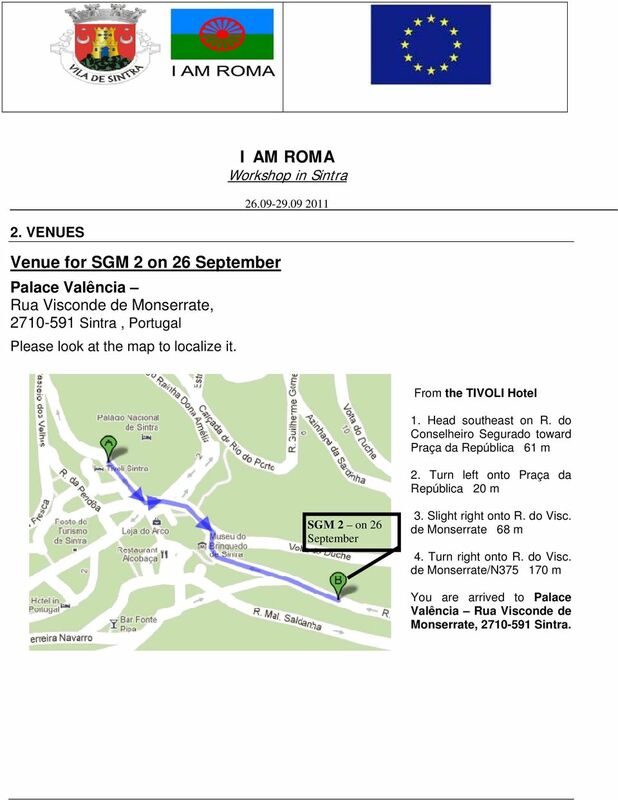 VENUES Venue for SGM 2 on 26 September Palace Valência Rua Visconde de Monserrate, Sintra, Portugal Please look at the map to localize it. From the TIVOLI Hotel 1. Head southeast on R. do Conselheiro Segurado toward Praça da República 61 m 2. Turn left onto Praça da República 20 m SGM 2 on 26 September 3. Slight right onto R. do Visc. de Monserrate 68 m 4. Turn right onto R. do Visc. de Monserrate/N m You are arrived to Palace Valência Rua Visconde de Monserrate, Sintra. 6 3. 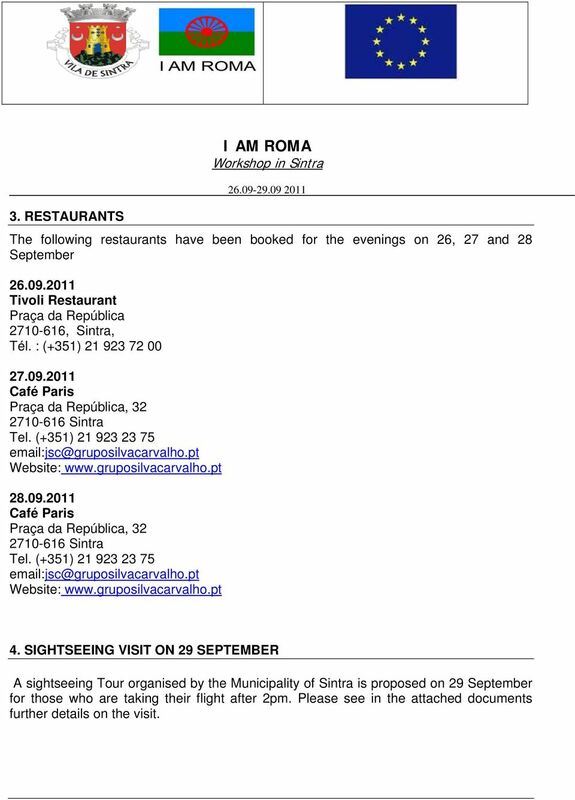 RESTAURANTS I AM ROMA The following restaurants have been booked for the evenings on 26, 27 and 28 September Tivoli Restaurant Praça da República , Sintra, Tél. : (+351) Café Paris Praça da República, Sintra Tel. (+351) Website: Café Paris Praça da República, Sintra Tel. (+351) Website: 4. 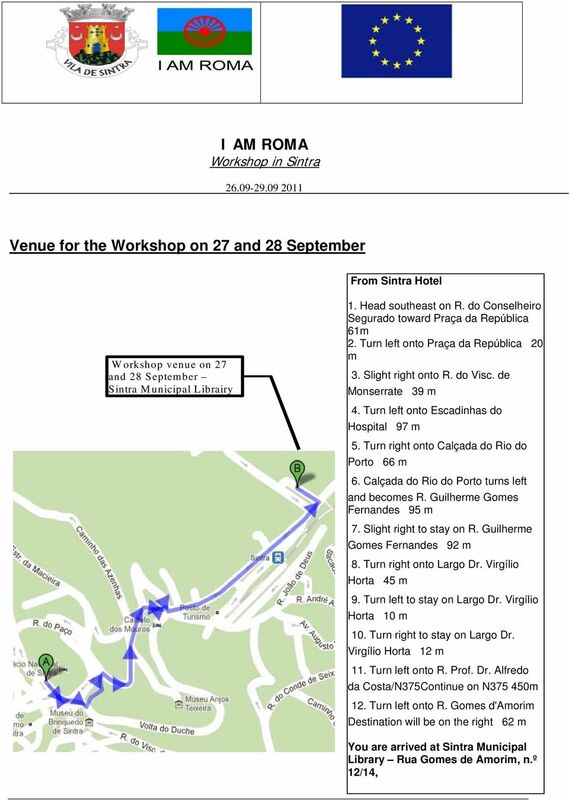 SIGHTSEEING VISIT ON 29 SEPTEMBER A sightseeing Tour organised by the Municipality of Sintra is proposed on 29 September for those who are taking their flight after 2pm. 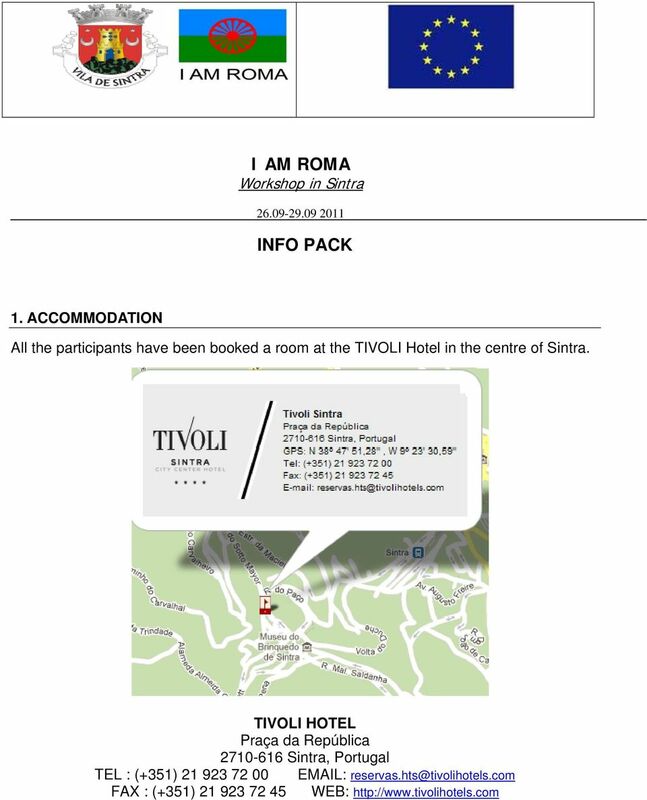 Please see in the attached documents further details on the visit. 7 5. REIMBURSEMENT OF TRAVEL AND ACCOMMODATION COSTS Participants of Steering Group Meetings as well as Peer Review Group Meetings who booked and paid their flights/travel themselves will be reimbursed later by QeC-ERAN. 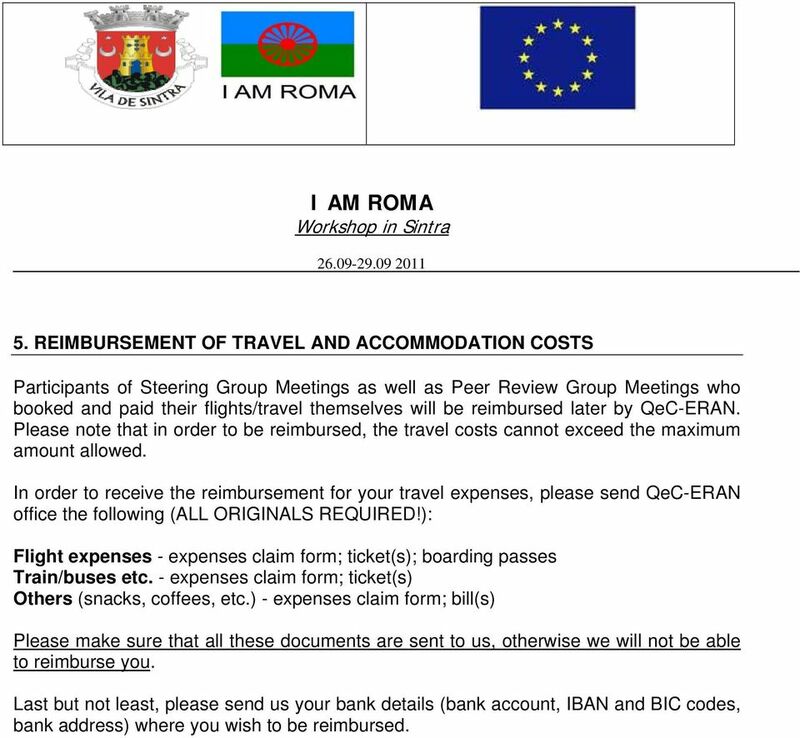 Please note that in order to be reimbursed, the travel costs cannot exceed the maximum amount allowed. In order to receive the reimbursement for your travel expenses, please send QeC-ERAN office the following (ALL ORIGINALS REQUIRED! ): Flight expenses - expenses claim form; ticket(s); boarding passes Train/buses etc. - expenses claim form; ticket(s) Others (snacks, coffees, etc.) - expenses claim form; bill(s) Please make sure that all these documents are sent to us, otherwise we will not be able to reimburse you. Last but not least, please send us your bank details (bank account, IBAN and BIC codes, bank address) where you wish to be reimbursed. The conference venue is in the Ducal Palace located in the medieval centre of Camerino. Venue Camerino is an historic hill-top town in the Apennine mountains located 200 kilometers northeast of Rome, midway between Ancona and Perugia (coordinates 4301'8N 1304'E) https://www.google.com/maps/place/piazza+cavour/@43.135676,13.068268,669m/data=!3m2!1e3!4b1!4m2!3m1!1s0x132ddb925b6f1d33:0x83496e0db38b3364?hl=en). XIV International Workshop on Neutrino Telescopes March 15-18, 2011 Istituto Veneto di Scienze, Lettere ed Arti, Palazzo Franchetti - Campo S. Stefano Venice First Bulletin Contents: 1. 2. 3. 4. 5. 6. You can go from Barajas airport to downtown Madrid, aprox. 15 kilometers, by taxi, subway or bus. 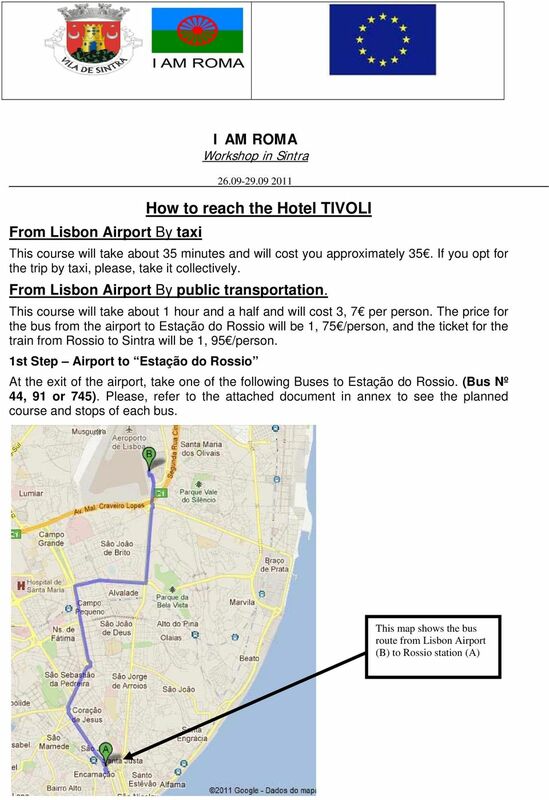 Logistical Information In this file you will find logistical information on how to get to the City Centre from the main airports, from the bus terminal and car parking area and if you are arriving by train. And the great news is, there are some sensational airfares on offer right now via Flight Centre Active Travel, so it is the perfect time to book.